Tea tree oil is distilled from a tree native to Australia called Melaleuca alternifolia, and has been used in traditional Aboriginal folk medicine for centuries. In its 100 percent undiluted form, tea tree essential oil is an extremely potent natural medicine with an astringent scent and antimicrobial properties. Combined in a carrier oil, tea tree oil can be used to soothe and reduce eczema and psoriasis. It works by reducing inflammation and pain on irritated skin. It reduces the red, swollen appearance of eczema and psoriasis, and stops itching and treats the infection [1, 2].. It can be applied a few times per day to an affected area for the best results. 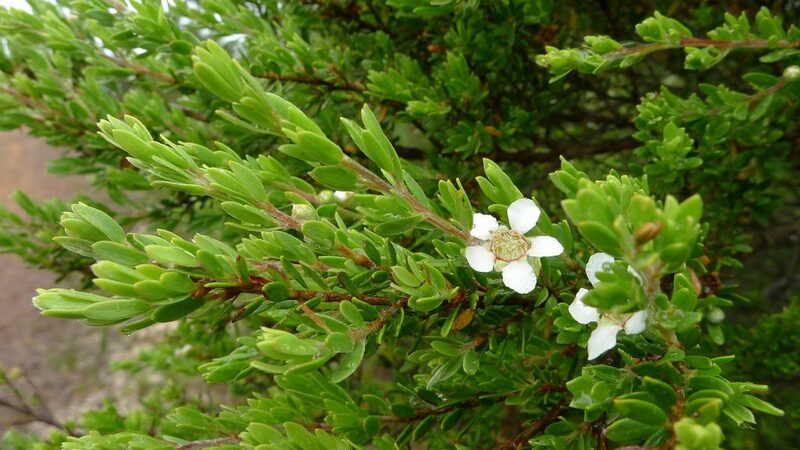 Tea tree oil works as an antiseptic and controls oily skin. In one study, people who used a sunscreen that contained tea tree oil saw less oiliness in their skin within 30 days . Mix a small amount into a moisturizer, sunscreen or clay-based facial mask to help control oily skin. Insects can’t stand the antiseptic smell of tea tree oil. In an animal study, cows treated with tea tree oil had 61 percent fewer flies compared to cows without it, suggesting it works as a natural bug spray . Another study even showed it repelled mosquitoes better than DEET—the inorganic pesticide found in most insect repellants . You can dilute tea tree oil in a carrier oil and apply it to your ankles, hands and any other areas exposed to mosquitoes when you go outside at night in mosquito season. If you do end up with itchy bug bites, you can use tea tree oil to relieve itching. It kills bacteria, reduces itching and inflammation, and helps the bite heal faster. A study showed that tea tree oil at a 5 percent concentration within a carrier oil improved itchiness compared to a placebo in all participants with itchy skin, and eliminated itchiness completely in 67 percent of participants . Athlete’s foot is a contagious fungal infection of the feet and toenails involving blisters, redness and cracked or peeling skin. Studies show that tea tree oil works as effectively as antifungal medications in controlling athlete’s foot. It’s shown to relieve inflammation, itching burning and scaling of the skin . With its antiseptic properties, tea tree oil can helps remove the infection and prevent future outbreaks. Dandruff isn’t just itchy and unsightly. It can also affect hair growth by clogging hair follicles on the scalp. Studies show that tea tree oil is effective against dandruff when used in shampoo. One study found that a tea tree oil added to shampoo at a 5 percent concentration reduced scalp greasiness, itchiness and dandruff severity . Typical over-the-counter mouthwashes contain harmful toxins. Tea tree oil is a natural alternative shown to fight the germs that cause bad breath and tooth decay. One study showed it was more effective that chlorhexidine in reducing bacteria that causes plaque . All you need is one drop of tea tree oil in a cup of warm water to make an all-natural mouthwash solution. The antimicrobial and anti-inflammatory compounds in tea tree oil improve acne by reducing inflammation and redness. One study showed that at a 5 percent concentration, it was 6 times more effective than actual acne medicine in reducing the severity of acne lesions in people with acne . Several other studies have found similar effects, with one in particular showing tea tree oil to be as effective as benzoyl peroxide . Tea tree oil is a great addition to your natural medicine cabinet because it acts as an effective antiseptic for minor wounds. After cleaning a cut, scrape or abrasion, you can apply tea tree oil diluted in a carrier oil such as coconut oil before covering with a bandage. Reapplying this a couple times per day can speed up the healing process and prevent infection. It reduces swelling and stimulates the production of white blood cells that help the wound heal . When inhaled through a diffuser or from a bowl of steaming hot water, tea tree oil works as a nasal decongestant you can use to relieve symptoms of allergies, colds, flus or sinus infections. Add a few drops to a bowl of steaming hot water and inhale the steam for up to 5 minutes. Be sure to close your eyes or cover them with a towel so they don’t contact the steam. You can inhale tea tree oil in the same way to expel mucus in the lungs and relieve coughs. As a natural expectorant, you can use it in homemade vapor rubs. Make a natural vapor rub by combining it with a carrier oil or some vaseline and apply to your chest or under your nostrils. By stimulating the immune system and killing pathogens that cause infection, tea tree oil is shown to help shorten the duration of common colds and flus . In addition to its anti-inflammatory properties, tea tree oil also works as a natural analgesic, reducing pains such as toothaches. You can dilute it in warm water and use it as a mouthwash a few times per day to treat tooth pain. Research also shows it can reduce gum inflammation and help treat gum disease . The antiviral properties of tea tree oil have been shown to be effective against cold sores, caused by the herpes simplex virus. Applying it diluted in a carrier oil several times a day can help clear up cold sores by directly killing the infection. While it heals, tea tree oil also reduces redness and swelling to improve the appearance of cold sore-infected lips . In a similar way, tea tree oil also gets rid of warts. Warts are caused by a virus called human papillomavirus (HPV), which tea tree oil is shown to be effective against. Apply one drop of tea tree oil to the wart a few times daily until the wart disappears. Use a carrier oil instead of undiluted oil only if you experience irritation. Although it’s a naturally-derived substance, tea tree oil should be treated as the powerful medicine that it is to avoid toxicity and unwanted side effects. Internal use should be avoided altogether, because tea tree oil has been found to be poisonous when ingested. Even inhaling tea tree oil excessively can irritate the lungs and cause excessive coughing. Topical use is only considered safe when the oil is diluted with a carrier oil such as jojoba oil, coconut oil, olive oil or the like. Tea tree oil varies in quality, so look for 100 percent pure therapeutic grade oil with no additives. Like any medicine, it can have interactions, so consult with a medical professional before if you’re pregnant, breastfeeding or taking medications.